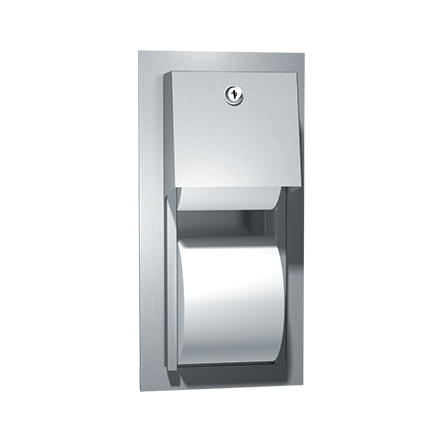 Holds two rolls up to 5-1/4″ (135 mm) diameter (1800 sheets). Top roll automatically drops in place when bottom roll is used up. Type 304 stainless steel cabinet and mechanism. Theft resistant spindles. Provided with flange for recess mounting.